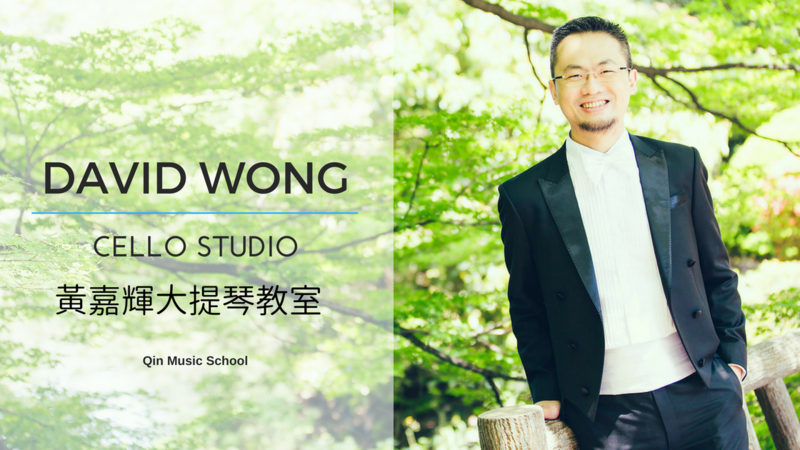 David Wong started his cello lessons with Wu Ge, a disciple of Paul Tortelier, at the age of fifteen when he was admitted to the Hong Kong Academy for Performing Arts Junior Music Programme. He then studied cello performance with Ray Wang when he entered the Music Department of the Chinese University of Hong Kong where he graduated in 1995. In a masterclass he played for the late Paul Olefsky whose teachers included Gregor Piatigorsky, Pablo Casals, Herbert von Karajan and Pierre Monteux. His cello playing has also been inspired by Wai-ming Wong, the founding concertmaster of the Hong Kong Sinfonietta. For more than two decades David has performed in Argentina, Brazil, Canada, France, Italy, Japan, Lithuania, Poland, Uruguay, South Korea, United Kingdom, United States, as well as in Hong Kong, Taiwan and Mainland China. In summer 2014, he was invited to perform at the Edinburgh Festival Fringe, the largest arts festival in the world. In 2015, the dance film “Rite of City II: Present” featured his performance of Bach Cello Suites, starring locations in Florence, Italy: Piazza della Signoria, Ponte Vecchio, Museo Stibbert, and Le Murate Firenze. During Italy’s fight for independence in the mid-nineteenth century, Le Murate was the temporary abode of political prisoners; a century later, during the Second World War, political prisoners captured by the fascists were again imprisoned there. David was a soloist with the Hong Kong Chamber Orchestra and has been a member of the Hong Kong Sinfonietta for over a decade. Apart from performing as a cellist, he also organized an orchestra in Hong Kong which has performed music by such composers as Bach, Beethoven, Durufle, Faure, Handel, Haydn, Mahler, Mozart, Rutter and Stravinsky.